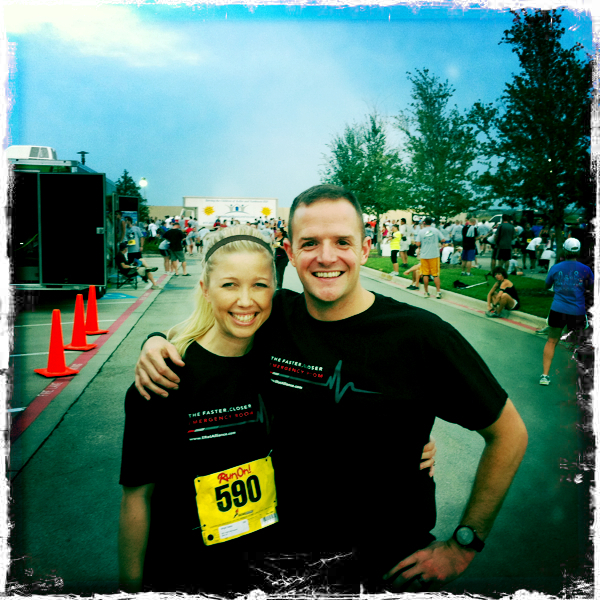 After Monday’s mushy post, I thought I’d lighten things up a bit and talk about what Mr. Right and I have been up to lately. These past few weekends we have relished being home–after a full summer of traveling–and have had a blast piddling around on our house. As we continue to unpack and discover furniture and decor that came with a wedding and combining two homes, we have loved getting to slowly decorate and “finish” our house, at the cost of almost nothing but a little spray paint and a lot of creativity. 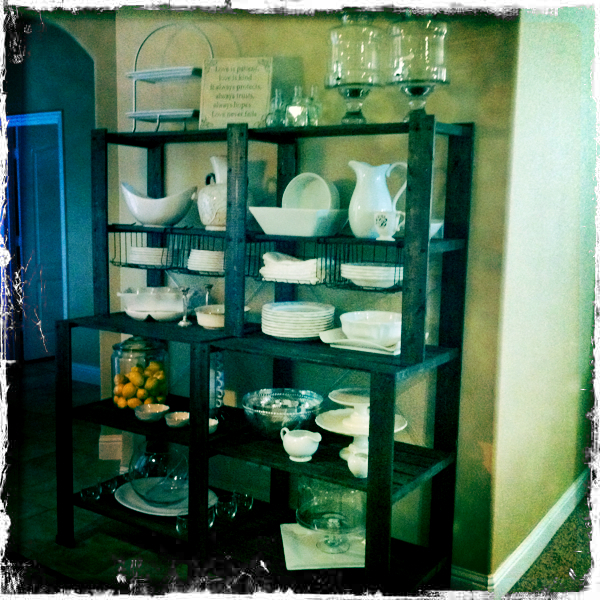 Our latest addition is these shelves, which Mr. Right purchased from Ikea and used in his house to hold food since his cute little house–built in the 1950s– didn’t have a pantry. We finally found the time to cart these shelves from his garage, where they’ve sat lonely for several months, over to their permanent home. From there, I used this Pinterest inspiration to decorate our blank canvas with treasures we already had. Since we both love to entertain, we already had tons of white serving pieces (I already had a set of dishes that fed 15 people–a byproduct of hosting 20-30 people every year for Easter), and then added a few fun extras from our wedding registry. I’ve found that if I can’t easily reach (or see) something, I won’t use it, so we brought all of our favorite pieces out of storage, and it’s amazing how in only two weeks we’ve used so many items off of here. I already have big plans for decorating them for Christmas. Mr. Right, who despises seasonal decorations, is probably rolling his eyes as he reads this–but I love him anyway because he’s so darn cute. 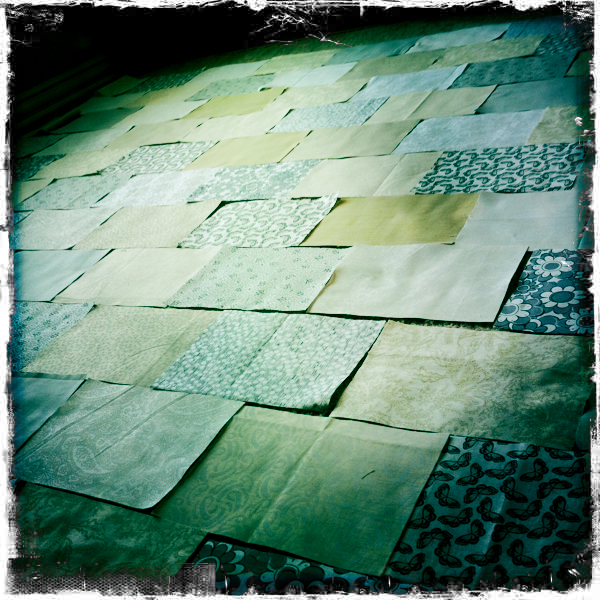 I mentioned that I’m working on a top secret quilting project. Well, you know me, I can’t keep a secret to save my life. Just ask my family. I decided there’s no use in exploding from the excitement of not being able to share… so I’m sharing. I’m just not telling you who it’s for. But here’s a sneak preview – it’s an relaxed, neutral quilt in a brick pattern, and after I finish piecing everything I’m going to add a bit of flair – my first foray into applique, so I’m excited/nervous about what it will look like. This where I can also mentioned that I asked a sales lady in the sewing machine section at my local JoAnn’s Fabrics store to help me with some applique questions and she responded with her hands on her hips and a “Don’t you know young people know ANYTHING about sewing? !” (boo hiss) Thankfully my crafty sister gave me an over-the-phone tutorial and I think I’m set. In the meantime, last weekend we decided to explore the antique store right around the corner from our home. 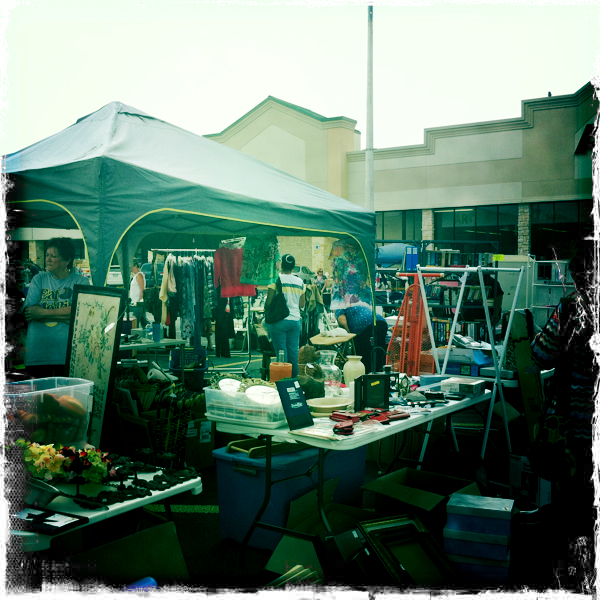 We had overcommitted maximized our social calendar for the weekend, so we made this morning trip our date for the week – it just so happened that they were having a giant sidewalk sale outside our antique store, and digging through all the junk goodies was so much fun! I picked up some vintage jars for my new sewing room shelf (note to self- post picture of the shelf Mr. Right built me – it’s adorable!) 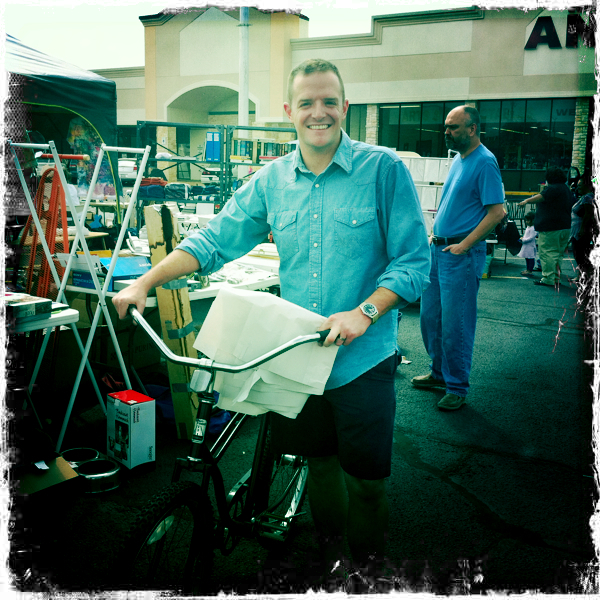 and Mr. right snagged a vintage cruiser bike to add to our ever-growing collection of bicycles. We also may or may not have picked up a top-secret gift – one that I really will keep a secret because it’s just that good. Totally worth it. You can’t break me, don’t even try. 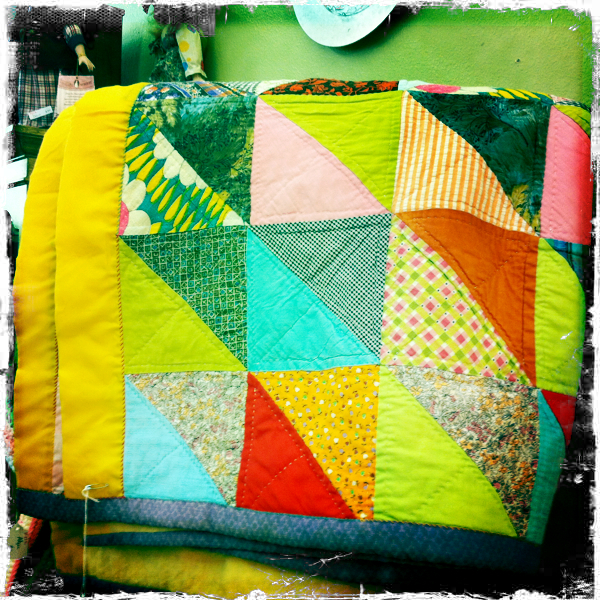 This is a vintage quilt I snagged a photo of at the antique store that may become the inspiration of a future project. I love the combination of solids and patterns into squares, and I adore the bright colors. 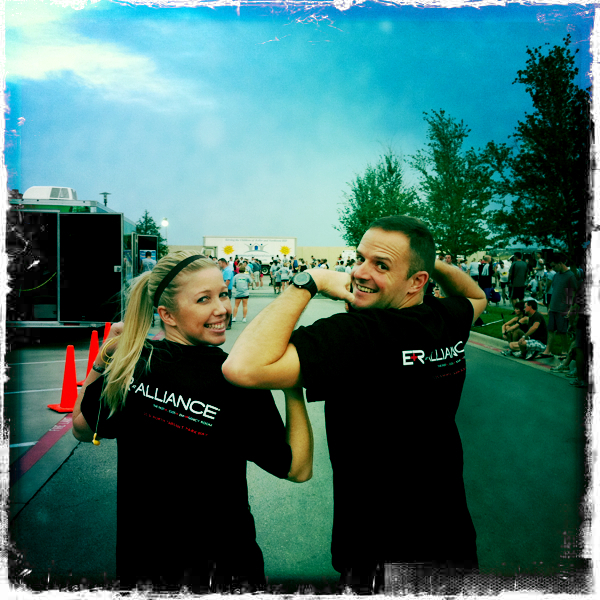 Saturday night we ran in a 5K race for my work. I was a bit worried since in all the craziness of life these past few weeks (hello, organizing the largest special event of my career) I didn’t make have time to train, other than a few short runs scattered here and there (mostly there). But, inspired by a pair of kickin’ new running shoes and feeling cute in my t-shirt (which I designed) I was able to RUN the entire race. Not that impressive since I’ve run a half marathon before, but impressive considering most of my working out lately has been in spin class or sitting at my quilting machine. Regardless, it was a total blast, and so fun to be able to do it with my man, who–for the record–ran it significantly faster than I did. What can I say, I’m a bit proud.